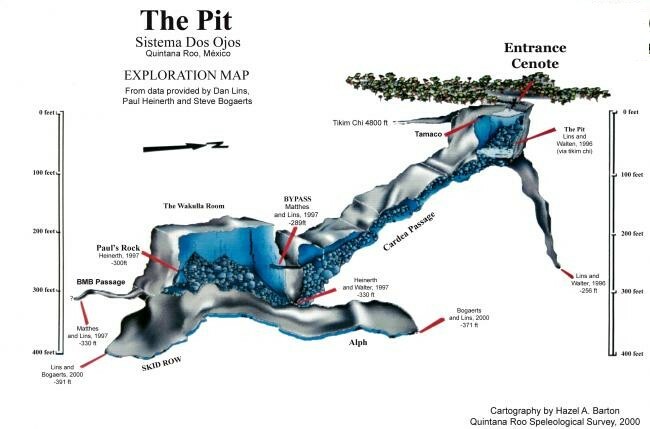 Beneath the surface of the Yucatan peninsula extending underwater cave systems among the longest in the world. In the centuries collapsing ceilings of some of these sinkholes created natural access to water; These openings are called cenotes. 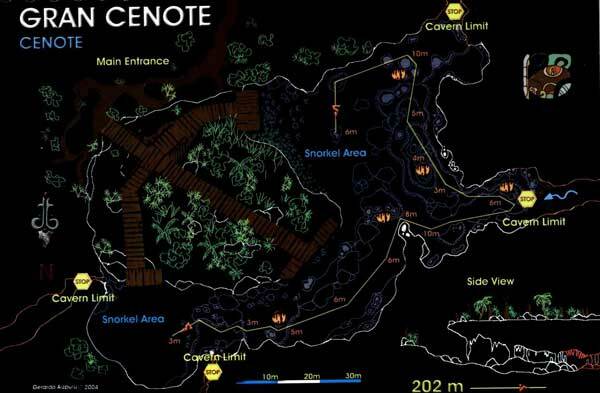 The word “cenote” comes from the word Maya “T’z oo not” “sacred well”. 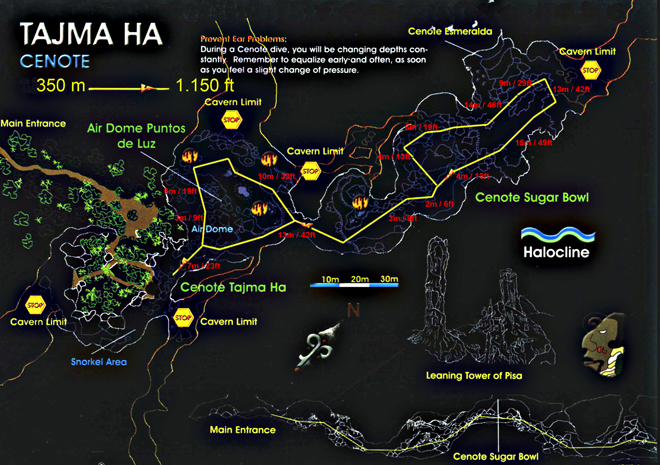 In Mayan mythology the cenote is considered the entrance to a parallel underworld full of gods, spirits and demons. 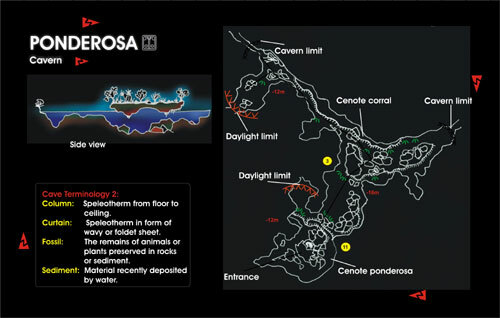 Diving in cenotes are made in maximum security in the occupied zone of the Cave. 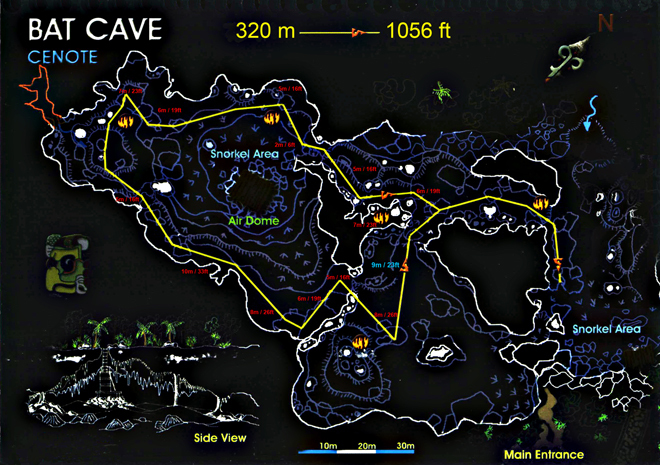 The area of ​​the cave is defined as the area of ​​the cave of light, and the maximum distance to the surface should not exceed 60m (length). The cave diving are only allowed us to hold a patent Technical Cave Diver. Diving in the cenotes are made in large spaces with little clear water and guidelines permanent as a constant reference for divers. 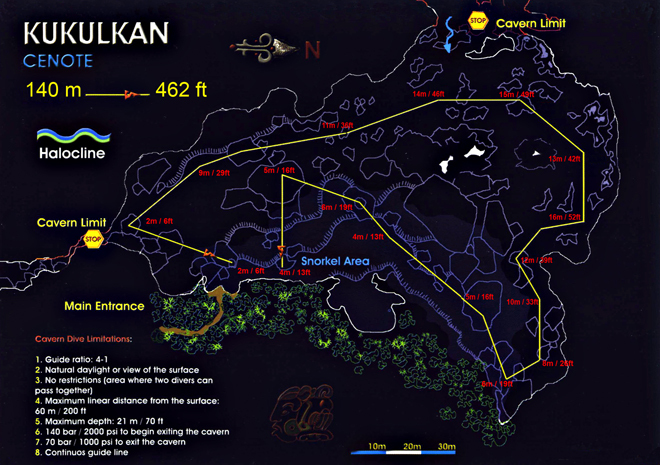 Prerequisite for diving in the cenotes is a basic Open Water Diver certificate or equivalent. Rock formations, fossils, amazing stalactites and stalagmites, columns spectacular, decorate these caves, fascinating light effects caused by the sun’s rays penetrate through the openings natural components of a unique and extraordinary diving experience not to be missed !! 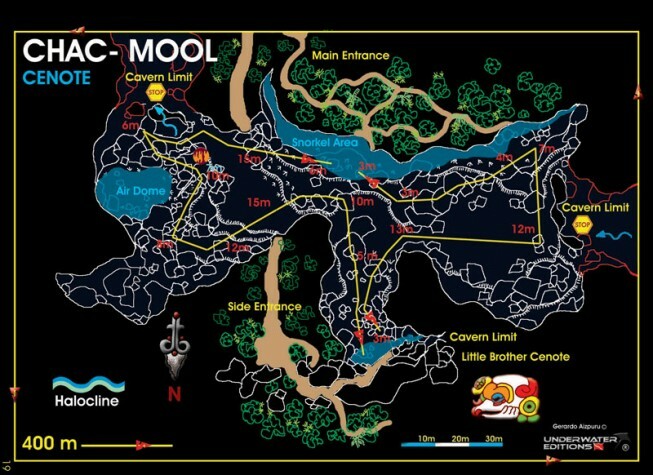 Diving in the cenotes are something very special. Every year thousands of divers come to Mexico just to live this experience. The Yucatan Peninsula is famous for its large reticulated underground river system. Hundreds of miles stretch along the coast. Mystical places of a past culture. 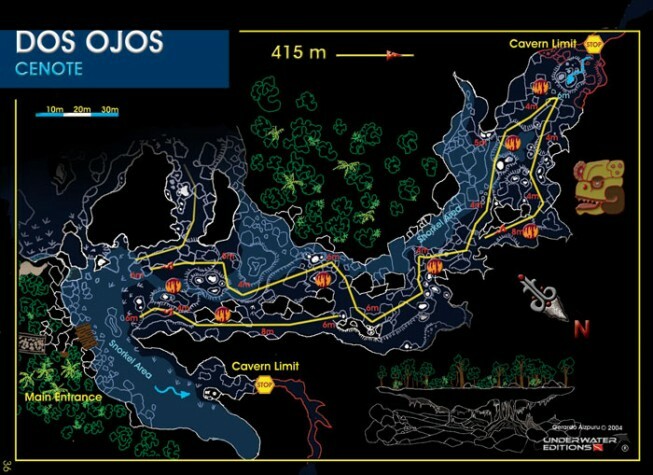 What makes cavern diving in cenotes something special? The crystal clear water gives you a feeling of being suspended in air. The intense sunlight, like a laser natural and ancient formations are breathtaking. Not to be missed ! !